calling for research papers on the occasion of 17th national conference on e-Governance being organised by Union government’s Department of Administrative Reforms and Public Grievances in Kerala in January next. a) Please prepare your paper in full-size Letter format, 21.59 cm by 27.94 cm (8.5 inches by 11 inches). b) Your paper must be submitted electronically as a word document (.doc) with tables and figures in their proper positions. c) Use Times New Roman in 10-point font size with full (left and right) justification, unless specified otherwise. d) If Times New Roman is not available for your word processor, use a similar proportional serif typeface. e) Set the top and bottom margins to 2.54 cm (1 inch) and left and right margins 1.90 cm (0.75 inch). f) With the exception of the paper title and author information, use two column formats with equal column width of 8.51 cm (3.35 inches) with 0.76 cm (0.3 inch) spacing between. g) Use automatic hyphenation and be sure to check for proper grammar and spelling (preferably using English U.K. language). h) Body texts paragraphs are indented 0.33 cm (0.125 inch), use singly line spacing and are followed with 3-point spacing below each paragraph. Level 1 heading should have 6-point spacing above and below, while level 2 and 3 headings are indented 0.65 cm (0.25 inch) and should have 6-point spacing below only. i) The paper title and author affiliation should have 12-point spacing below. j) Use colour to enhance your figures if you wish, but do not rely on colour as the only mean to distinguish between chart lines etc. k) Footnotes in the text should be numbered consecutively as superscripts in the order they appear in the text. Where possible, place them at the bottom of the column in which they were cited1, do not place them in the reference list. Use letters for footnotes in tables and figures, and place the footnotes immediately beneath the table or figure (and before the caption in the case of a figure). (NB: All these may vary from one department to another). Well, it's not that surprising. Lot of institutions do prescribe such rules. I don't know think these points are helpful. 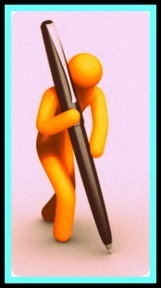 essay writing services reviews may help others to find good essay writing services.